American Idol will be back for a 15th season and final season. Fox announced Monday that it had renewed the aging singing competition, and the current judges roster of Jennifer Lopez, Keith Urban and Harry Connick, Jr. will all return with it -- as will long-running host Ryan Seacrest. The network did not mince words in its announcement of the renewal, confirming No. 15 would be the last for the one-time behemoth and referring to it as a "season-long celebratory event." It's been expected for some time that this renewal would be Idol's last, as the show has seen both its ratings and relevance fade in an increasingly crowded landscape. The current season has generated stronger critical favor but only averaged a 2.7 rating among adults 18-49 and 10.7 million viewers on Wednesday nights. To be sure, Idol is still of value to Fox. In addition to occupying a great deal of real estate (three hours a week during the auditions this season), it has offered a dependable crowd after the network fell to No. 4 this season. And though it's audience and ratings were quickly eclipsed by scripted juggernaut Empire, it's worth noting that Idol served as both a lead-in and launch pad for the hip-hop drama in January. 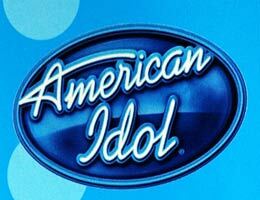 Created by Simon Fuller and produced by FremantleMedia North America and Fuller's 19 Entertainment, the last two seasons have been a return to normalcy for Idol -- which had become a revolving door for executive producers and judges, which have included Simon Cowell, Randy Jackson, Paula Abdul, Nicki Minaj, Mariah Carey and Ellen DeGeneres. Seacrest is the only on-camera constant, having been with the series since inception.